Meet the Patels is a charming, real-life romantic comedy about Ravi, an Indian-American actor/comedian who enters into a love triangle between the woman of his dreams… and his matchmaking parents. 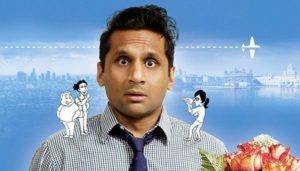 Filmed by his sister Geeta in what started as a family vacation video, this warm and funny film reveals how, for a Patel, love is truly a family affair! Meet the Patels won the Audience Award at the Los Angeles Film Festival and was selected as an audience favorite at HotDocs. On CPTV: Monday, Jan. 2 at 11 p.m.